For the last couple of months, I’ve been very fortunate to have been using the Samsung Galaxy Note 2 mobile phone. I was very impressed with the original Galaxy Note last year, and its successor does not disappoint. This phone comes with Android 4.1 (jelly Bean) installed. First of all – and let’s not beat about the bush – this is a big phone. With a crisp and clear 5.5inch screen, the phone itself measures 80.5 x 151.1 x 9.4 mm. Despite this formidable size, it still fits very comfortably in my pocket. And to be perfectly honest, I do like the big screen: for those of us of advancing years, the big screen offers more room in the display for us to see meaningful stuff. Like the phone number we’re dialing. Or the keyboard that we’re using to send a message on. 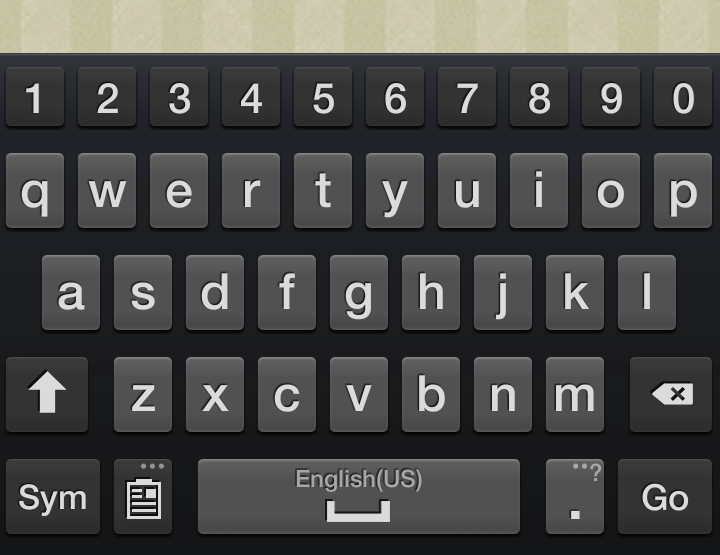 In fact, the keyboard is one of the truly nice things about this phone. Most of the time with an onscreen keyboard, you have a choice of alphabetical characters, or numeric. Either/or. 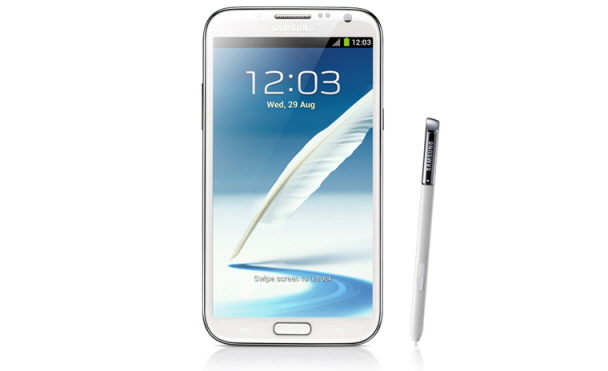 With the Note 2 the screen is large enough to accommodate an extra row of keys for your numbers. It’s a small thing, but it’s a small detail that makes it so much easier to use this keyboard than it does to use the keyboard on other systems. 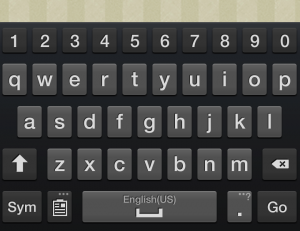 Of course, each of the keys is larger too, making it easier to see and press them. Predictive text is another area where this phone shines. For a long time I’ve been an opponent of predictive text, for the simple fact that the text that gets predicted usually has absolutely no relationship to the text that I want to type. For the first time ever, I am now using a phone where this is, quite simply not the case. In fact, it’s so good that I often only have to type the first one or two letters of the word I want, and I then find that the word is there, in the word list, awaiting selection. This impresses me, and I’m not easily impressed. In talking about the more general functions, this phone performs pretty much as you might expect. It’s a very competent phone, with good sound quality for both phone calls as well as media playback. As I already said, the screen is big, bright and bold. This makes for good viewing of the screen, whether you’re wanting to watch a video, browse a website, navigate your stack of unanswered emails, or just (gasp!) make a phone call! It has very quickly become my favourite phone, and I highly recommend it.